R.Bot is hiring! Have sales skills? 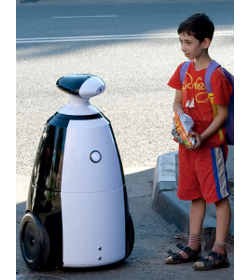 Contact us at: jobs@rbot.us We make robots! R.Bot can take your marketing campaign into territory untapped by your competitors. Our robots are also available for hourly rental, get yours today! R.bot 100 is a groundbreaking technology for entrepreneurs who want to convey fresh ideas and innovations to their clients. Through R.BOT you will maximize the effects of your marketing, merchandising, and promotional campaigns to become a competitive forerunner in your market. 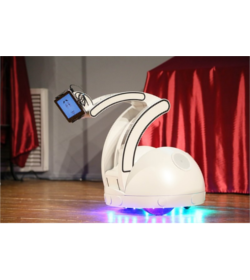 Whether you are small startup or an internationally established brand our robots will ensure the undivided attention of your prospective clients. R.BOT will be the turning point in the advertising industry for the 21st century, and the milestone to which others will compare themselves. With R.BOT you will add an innovative component to your corporate image that will make your company stand out from the crowd. Don’t let time and space limit your communication, get connected with R.BOT Synergy! Charge your mobile device, have open and real conversations with your friends over Skype or on social networks. 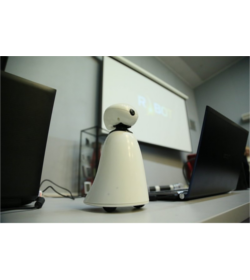 With the R.BOT Mini Desktop Web-Camera you can go beyond standard video conferencing and actually let your conversation partner drive a robot. No longer are you confined to a fixed positon, with the R.BOT Mini you can massively widen your field of vision. The Mini is a webcam and microphone that can move around the table or look around.